Full Lifetime Warranty: This product is warranted to be free of defects in material and workmanship for as long as the original consumer owns the product. At Fiskars Canada, Inc.'s option, defective product will be repaired, replaced, or substituted with a product of equal value. For warranty service, call 1-866-348-5661 or contact Fiskars Canada, Inc. at below address. Fiskars Canada, Inc. shall in no event be liable for any incidental or consequential damages. Some provinces do not allow the exclusion or limitation of incidental or consequential damages, so the above exclusion may not apply to you. This warranty gives you specific legal rights, and you may have other rights, which may vary from province to province. 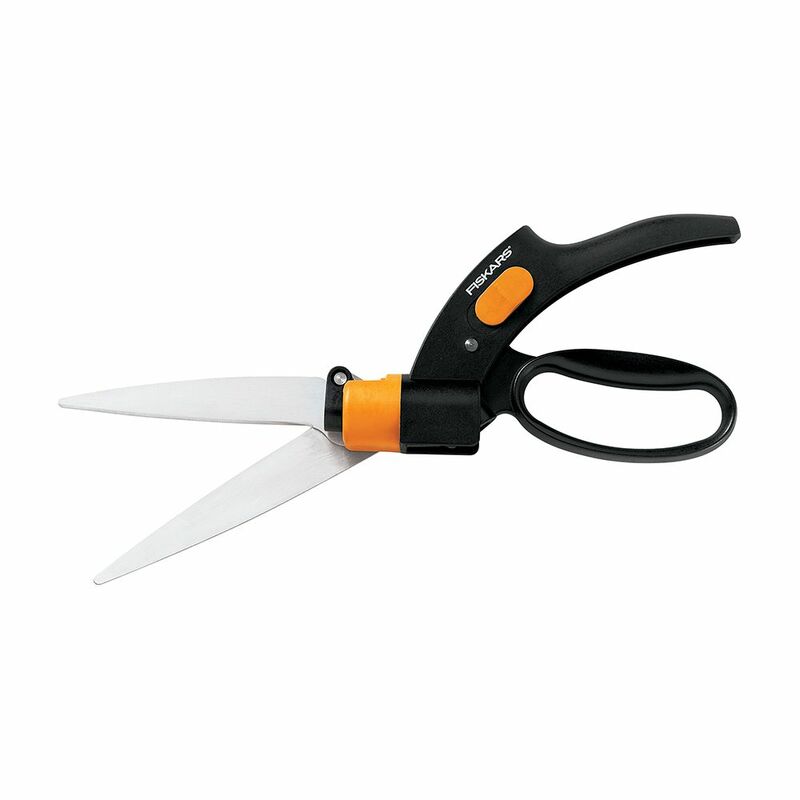 Grass Shears Our Shear Ease Grass Shears include a patented mechanism that prevents the blades from jamming or sticking when you're trimming back grass around garden beds, along fence lines or around other obstacles and borders in your yard. The fully hardened, precision-ground blades also rotate a full 360 degrees to give you clean, precise cuts, even at awkward angles. The lightweight loop-handle design offers easy use and excellent control.